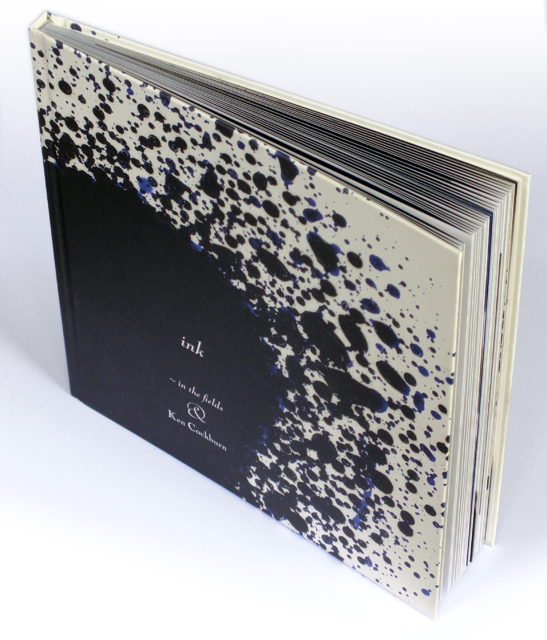 ink will be launched at 7pm on Tuesday 22 November at The Fruitmarket Gallery, 45 Market Street, Edinburgh EH1 1DF. The book will be for sale at the special price of £18.00. Dr. Anette Hagan from the National Library of Scotland will speak about book inscriptions, and Pfaelzer Wein (red and white wine from the Palatinate region of Germany) will be served. 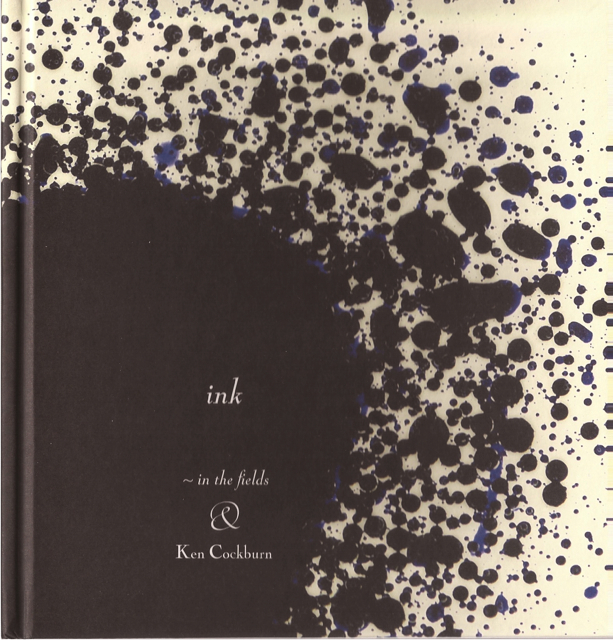 ink is a beautiful new artist book, featuring full-colour images of the prize-winning sculptural work ink by ~in the fields, and specially written texts by myself – poems, circle poems, ‘Reflections on the writing of marginalia’, and a hidden alphabet poem offering twenty-six imaginary shades of blue. 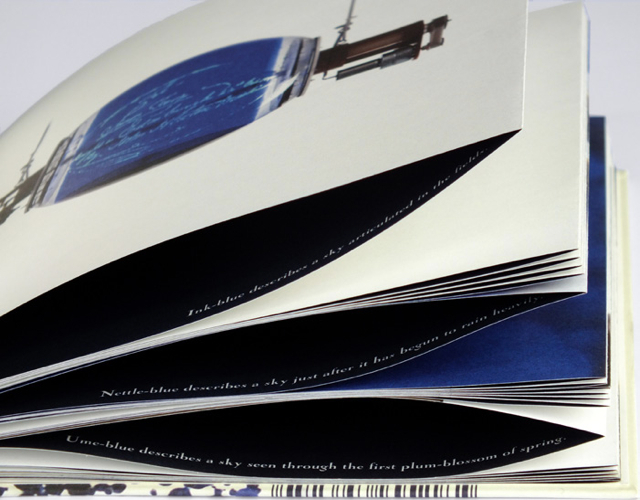 In addition, the contributors present their ‘blueographies’. ~ in the fields are artists Nicole Heidtke and Stefan Baumberger. In 2010 they won the Berlin University of the Arts Award for Interdisciplinary Art and Science for their sculptural work ink. Their visual art practice draws on archival material, environmental topics and ephemeral artefacts, such as lost forms of cinema. 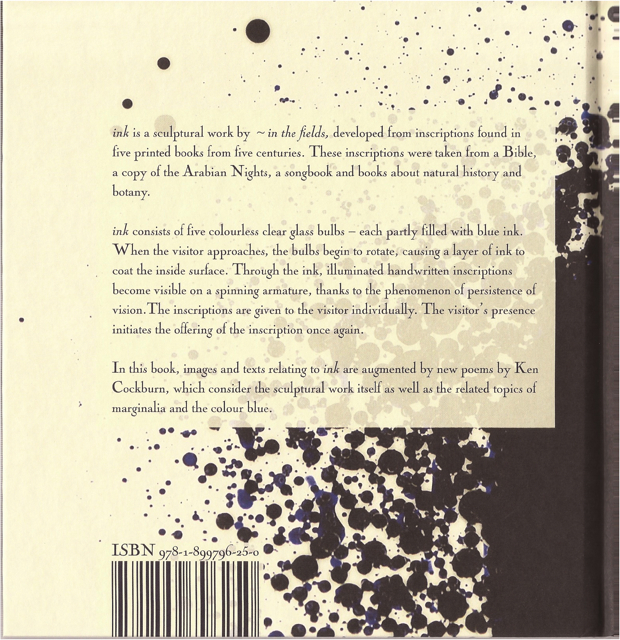 ink was developed from inscriptions found in five printed books from five centuries – a Bible, a copy of the Arabian Nights, a songbook, and books about natural history and botany. 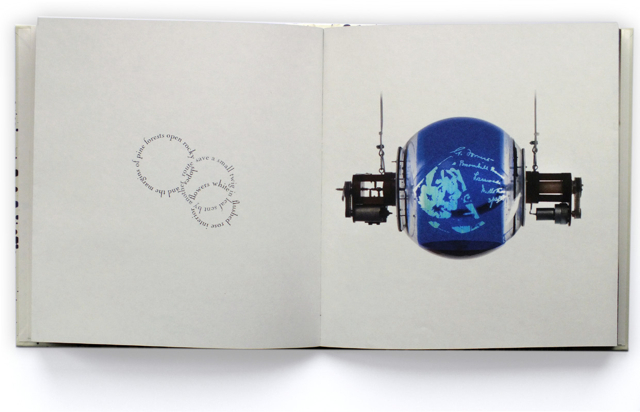 ink consists of five colourless clear glass bulbs – each partly filled with blue ink. When the visitor approaches, the bulbs begin to rotate, causing a layer of ink to coat the inside surface. Through the ink, illuminated handwritten inscriptions become visible on a spinning armature, thanks to the phenomenon of persistence of vision. The inscriptions are given to the visitor individually. The visitor’s presence initiates the offering of the inscription once again.